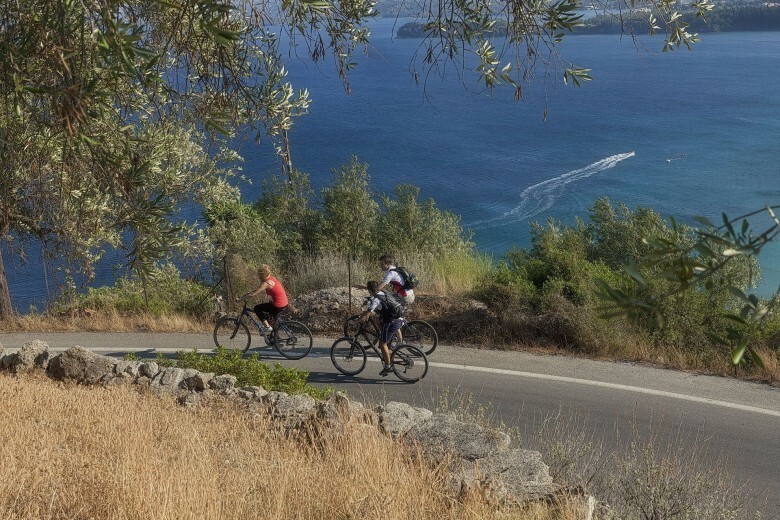 We firmly believe that our painting, walking and cycling holidays on the South of Corfu should be enjoyed not endured. It’s really important to us that you finish your day’s activities feeling challenged, but at the same time, smiling and having had a great time. We plan our painting, walking and cycling activities with meticulous detail. However, we spend almost as much time choosing the best available accommodation for our holidays, along with selecting the best local restaurants. You can also be sure that at least one of us will always be in attendance during your holiday, thus making sure that our standards don’t slip. The beauty of Bouka is its simplicity, its intimate connection with nature and its timeless detachment from the outside world. Our lessons take place daily in the open air from 10.30 to 13.30. The afternoons are free for everyone so you can relax, go swimming, enjoy the sun or work independently. South Corfu is an absolute unspoiled paradise, ideal for this type of holiday. During your week with us, you’ll experience wonderful deserted beaches, quaint coves, unspoiled timeless villages and stunningly beautiful countryside. Notes : On 14 days holidays they continue into the second week after two course-free days. * Non painting/ activities partners or friends are very welcome to share the convivial atmosphere, wonderful local food and wine and all the excursions. Notes : On 14 days holidays there are 10 Painting courses in open air / 10 fully backed up and professionally guided Walking or Cycling trips. Art materials* (a list of what to bring will be provided).